A bus in the playground, CPR in the hall and inspirational delegates sharing their expertise were just some of the scenes across our school at last weeks Careers Fair. 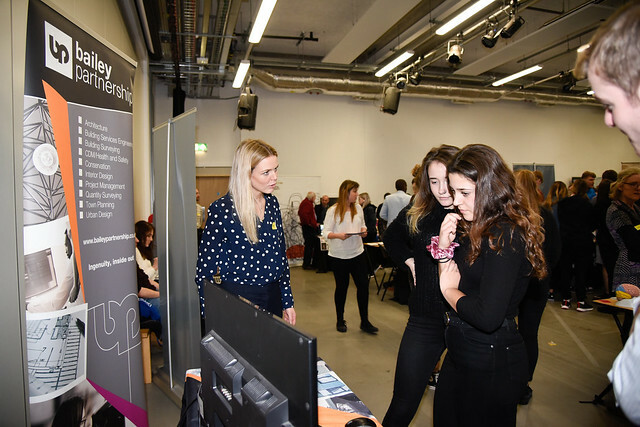 Students from years 7 to 11 attended a wonderful careers fair supported by some inspirational organisations, educators and employers from across our city. Students came away excited and enthusiastic by the delegates they had met. Acacia Training, Achievement Training, Graham Steen Architecture and Construction, Bailey Partnership, City Bus, City College Plymouth, Diversity Business Incubator, Exim Dance, Focus Training, Plymouth Marjon University, NCS Trust, Nudge Community Builders, PCC – Building Plymouth, Plymouth College of Art, Plymouth Hope, Plymouth University, The Royal Marines, Serendipity Glass, Skills Group,The National College, Theatre Royal Plymouth, Utility Warehouse and Lifelong Learning / Neal’s Yard.